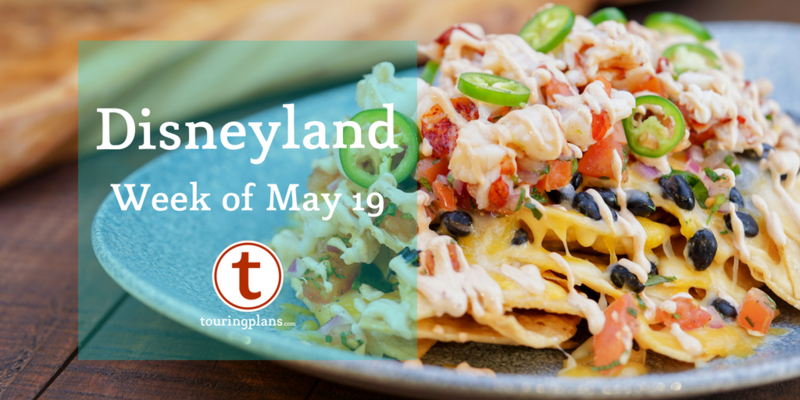 Lobster nachos, Grad Nite, Ashley Eckstein, and Pixar Fest at Disneyland this week! Read on to find out about this and more in this week’s Disneyland preview. The end is nigh, and the Cove Bar is completing its victory lap! 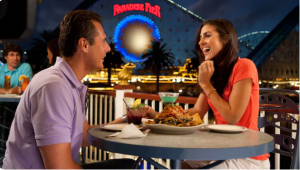 If you want to have the lobster nachos in their native habitat, get yourself to Disney’s California Adventure soon, as Cove Bar will be closing for good on May 29, 2018 to begin its change to the Lamplight Lounge. While the lobster nachos will be reappearing at that locale, the Cove Bar will not, so if you’d like to visit it one last time, the time to do so is now! Are you a fan of Ashley Eckstein from Star Wars: The Clone Wars? She’s going to be signing copies of her new book, “It’s Your Universe” on May 25 at the WonderGround Gallery in Downtown Disney from 6 to 8 pm. Grad Nite continues to be hosted at Disney California Adventure on the regular at this time of year. That park will host a private party after regular park hours, but expect more teenagers in the parks that day prior to the evening event as well. 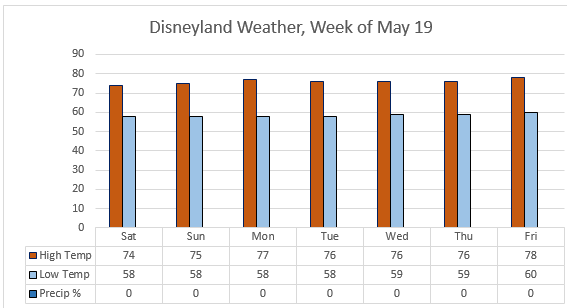 This week, Grad Nite will fall on Saturday, Tuesday, and Wednesday. It’s also still Pixar Fest! During this festival, which runs through September 3, you’ll find Pixar-themed fireworks and the Pixar Play Parade at Disneyland Park, and the return of Paint the Night at Disney California Adventure, though you’ll also encounter other Pixar-focused activities and opportunities. 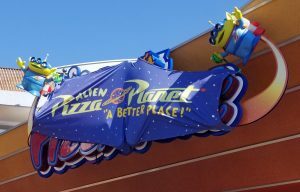 There will also be special dining opportunities available, as one would expect, and the Alien Pizza Planet is open at Disneyland Park for the occasion. Make sure you check out Rikki’s preview of the Festival! As is often the case for these events, there is a special area for Passholders. Stop by the AP Corner for Pixar decals (new ones rotating in every two weeks) and themed photo locations. The AP Corner can be found at Paradise Gardens at Disney California Adventure and runs through June 8. Speaking of Annual Passholders, there is now a Churro Challenge for you taking place for Pixar Fest through June 8! Grab an event map for $5, and then head out on a scavenger hunt throughout the resort to eat churros and collect what Disney calls “a cool, commemorative surprise.” Anyone done it and know what it is yet? Let us know in the comments below. Either way, though, there are worse ways to spend a day than eating a bunch of churros. Get more details, including where to get your maps, here. 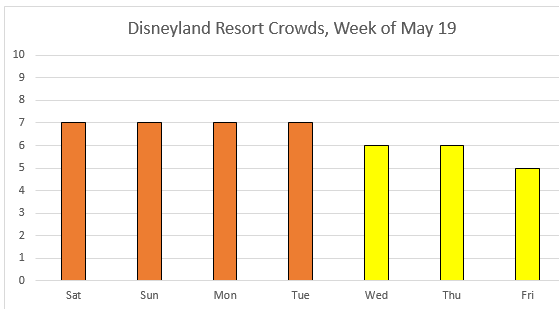 Steady, slightly above average crowds this week, as is typical for this time of year. You’ll see level 7 and 6 crowds most days, with Friday predicted to have the lowest crowds. Another very nice week in Anaheim (surprise, surprise). Highs in the mid-to-upper 70s, lows in the upper 50s and no rain. Disneyland has a special slate of shows running for a bit for Pixar Fest, with the evening fireworks at Disneyland Park being replaced by Together Forever – A Pixar Nighttime Spectacular (featuring a flying Buzz Lightyear!) and World of Color being replaced by the Paint the Night parade at DCA. Also, the Pixar Play Parade joins the daytime schedule at Disneyland Park. Fantasmic! will continue to run, but only on Friday, Saturday, and Sunday. Detailed show schedules, including smaller diversions like Jambalaya Jazz, can be found here. There are a few more blockouts than normal this week as we get closer to summer. Southern California Select Passholders are blocked out Saturday, Sunday, and Friday, Southern California Passholders are blocked out Saturday and Friday, and Deluxe Passholders are blocked out on Saturday. All other passes are honored every day this week. For those of you buying tickets as day guests, single-day tickets are at Regular Price ($117/$110) Saturday and Sunday, Peak Price ($135/$127) on Friday, and Value Price ($97/$91) the remainder of the week. As per usual, the parks will open one hour early for eligible guests at Disneyland Park Saturday, Tuesday, and Thursday, and at Disney California Adventure Sunday, Monday, Wednesday, and Friday. Resort guests can take advantage of these hours every day of their stay for Extra Magic Hours, while guests eligible for Magic Mornings can use that benefit one day at Disneyland Park only. Full park hours can be found by clicking on each date in the Crowd Calendar. The refurbishment list is thankfully pretty short right now. At Disneyland Park, Pirates of the Caribbean is closed through June 8 to transition to the new auction scene. Over at California Adventure, the Boardwalk Games at Paradise Pier, Carousel and Pixar Pal-A-Round (f/k/a Mickey’s Fun Wheel) are closed during the area’s conversion to Pixar Pier, and World of Color is dark during Pixar Fest, but the remainder of the park is all up and running. Check out our refurbishments page for details on exactly what will be down and for how long. Looking ahead, Disney recently announced that “a bug’s land” would be closing to make way for more Marvel attractions at California Adventure. It will be going away for good towards the end of the summer, so make sure you plan ahead if you’d like to see it before it disappears. That should do it for this week’s preview. Check back next week and every week to find out what’s coming down the pike. Got questions? Aware of anything else that prospective guests should know about? Let us know in the comments. I’ve seen a photo of the prize being a commemorative button with Mike & Sully. I think it’s also true that you can get the button without actually buying the churros, a la the egg hunt? But buying the churros get stickers on the map. I noticed the article said World Of Color is dark during Pixar Fest, but it seems that it is returning on June 22. There’s bookings for dessert parties and the whole deal.